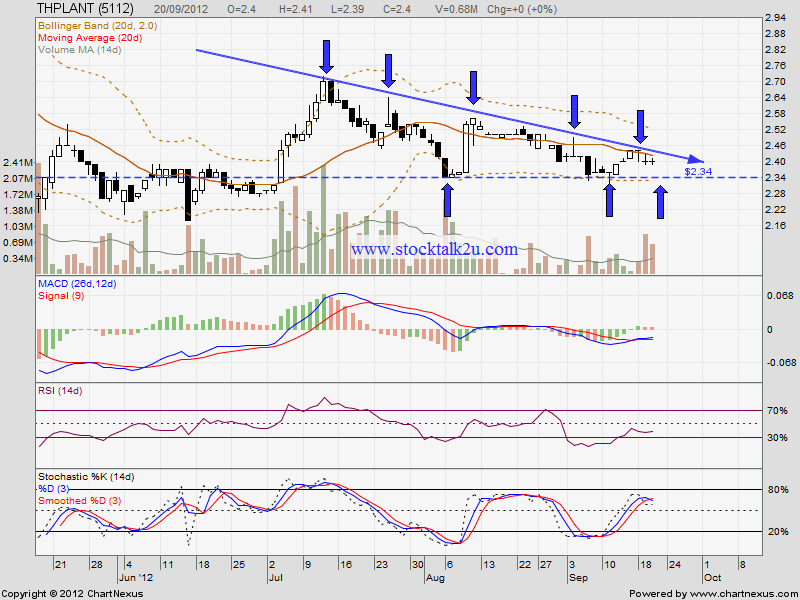 THPLANT is forming descending triangle with RM2.34 support. Will it break through upper triangle line resistance? 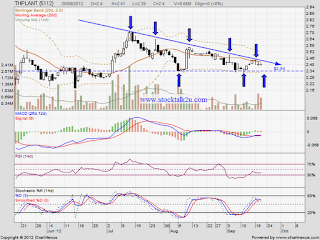 High probably it might retest RM2.34 support level again. As for now, it do facing MA100 & MA200 resistance, it might need time consolidate before break through upper triangle resistance. Or strong bullish sentiment to break through it.